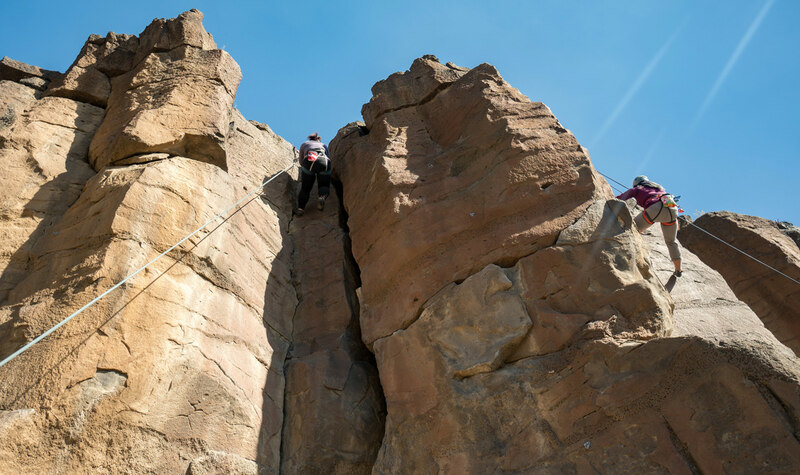 A guided climbing trip to Smith Rock gets an introvert out of her comfort zone. 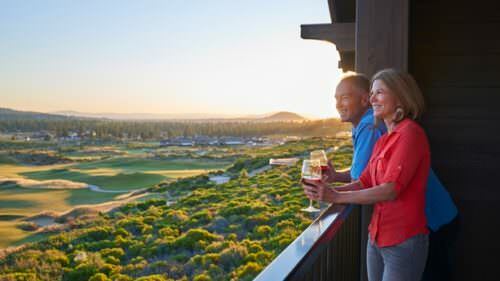 Adventure is different for everyone, and in Central Oregon, you can find your own — from lava flows, desert terrain and mountain lakes to breweries, shopping and luxury resorts. You truly are in the center of it all. I had my traction shoes on, harness flung over my shoulder and helmet clipped to my backpack — an hour had gone by and I still hadn’t said more than a few words to any of the other women. My nerves were already getting the best of me. But it wasn’t the prospect of climbing Smith Rock that had me sweating. This was not my first attempt at climbing nor was this my first visit to this iconic state park. A self-proclaimed introvert, I felt a wave of social anxiety as I realized I would be spending my entire weekend with strangers. I had joined 12 other geared-up women for a climbing tour organized by Women Who Explore. The group offers four such trips a year in Central Oregon, which is known for its varied adventures — epic trails, backcountry skiing, slopes to shred at Mt. Bachelor, whitewater rapids to navigate. All of these great opportunities can add up to a mountain of intimidation. Guided excursions make these experiences more accessible. 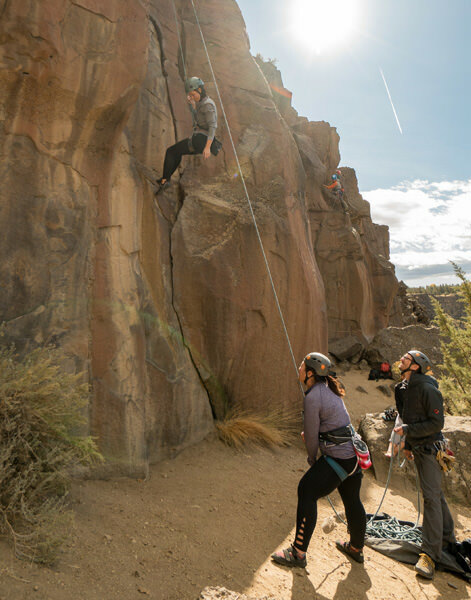 Many of the other women on this trip had never even tried climbing before; Women Who Explore give first-timers an easy and no-stress environment to try these activities. And while I’m not afraid to venture out on my own, I’ve found through my travels that having someone to share in the experience can elevate the in-the-moment thrills and add to the memories you take home. Joining this climbing trip seemed like an ideal chance to learn things I wouldn’t otherwise learn when only looking at an adventure through my own eyes. As I peered up at Smith Rock’s sandy cathedral-like spires, I tried to think of how I could engage the other women. I knew I needed an icebreaker to feel like I was a part of the group. Thankfully, climbing is just that kind of sport. 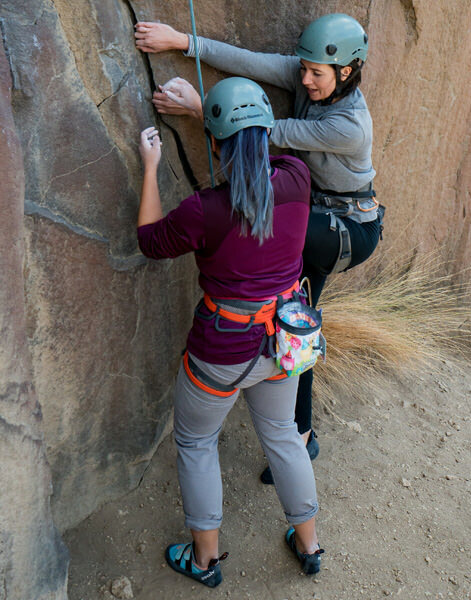 One woman, who was visiting from San Francisco, asked, “Can you belay me, Terra?” For the rest of our time on the wall, one route after another, she and I worked together to get the most out of our Smith Rock visit. And soon, helping her lead to me interacting with many of the other women in the group. This is where my prior experience came in handy. I could encourage the newbies to feel comfortable on the wall. This built trust on both fronts, I found my voice within the group, and they uncovered courage to make it up the rope. 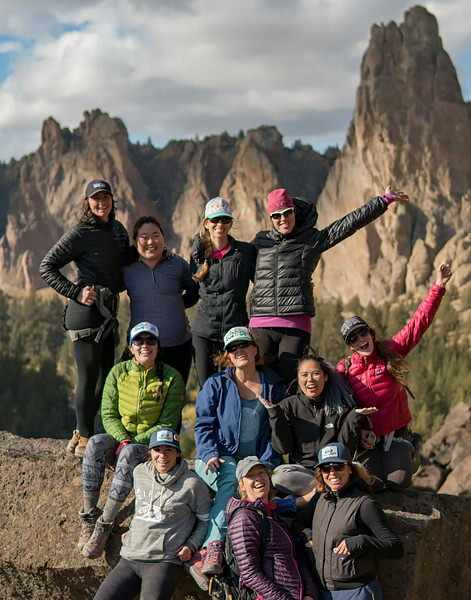 That connectivity was the essence of my trip: In addition to planning all the details of bucket-list getaways like climbing Smith Rock, Women Who Explore focuses on bringing together like-minded travelers. That was clear from the start. Our home for the weekend was one big two-story cabin, where the whole group would unwind in the evenings. During the day, Smith Rock Climbing School was our guide, so all I technically had to worry about was myself. For our last evening together, we all gathered at Sunriver Resort. I put a spoon into a decadent dessert, which I was sharing with my newfound friends. We talked about our time spent climbing and what we all had gotten out of the experience. 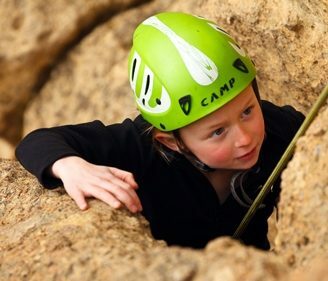 For many, it meant finding their way up a steep wall of volcanic rock at heights that would make many crumble with nerves. For me, I realized that moments like this — the instant connection that comes from doing something new with new people — don’t come around when you stick to yourself or your comfort zone. What do you want out of your trip? 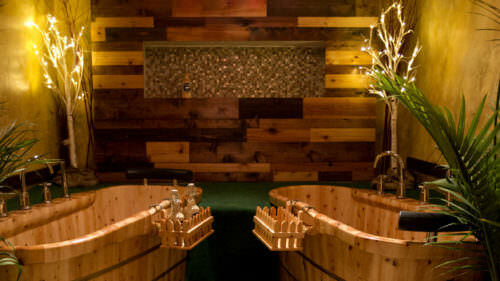 Peaceful seclusion? Adrenaline-pumping adventure? For me it’s often a bit of both. I enjoyed my Smith Rock trip so much that I booked another tour with Women Who Explore, which entailed dog sledding and snowshoeing paired with cozy evenings at Elk Lake Resort. What I learned in traveling twice with the group is that they offer the perfect recipe for stress-free travel. Someone else coordinates all the logistics while I get to join a group of like-minded explorers and have the freedom to go at my own pace. 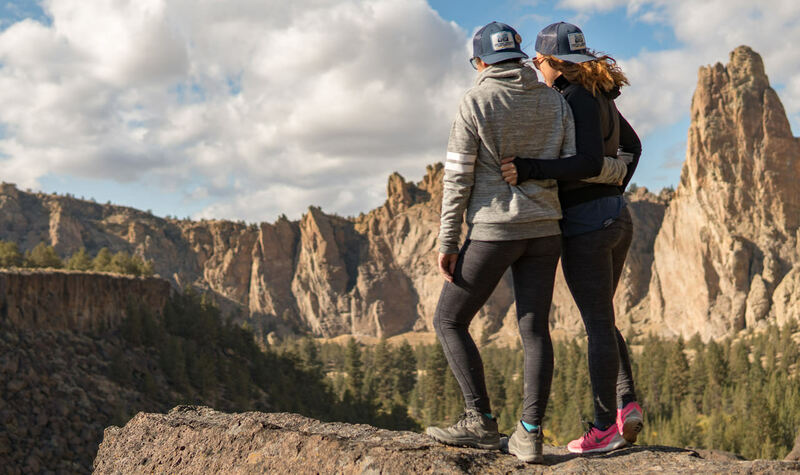 If this sounds like your style, then you’re in luck: A partnership with the Central Oregon Visitors Association and Women Who Explore means they’ve got four getaways planned a year, one for each season. These include mountain biking at Mt. Bachelor, water sports in the high desert and more girls-only weekends in this chunk of the state where the sun shines some 300 days a year. Whether you join a tour or explore on your own, aim to leave no trace on your Central Oregon adventure. Smith Rock State Park gets particularly crowded during the busy months of summer, when parking can be a challenge. Plan to visit at off-peak times, stay on designated trails and pack out what you pack in. Check out VisitCentralOregon.com for more information about guided tours planning your trip.